Erzullie Fierce Plus Size Fashion Philippines: PLUS SIZE FASHION: ERZULLIE IN SUPERSALE BAZAAR DAY 1! 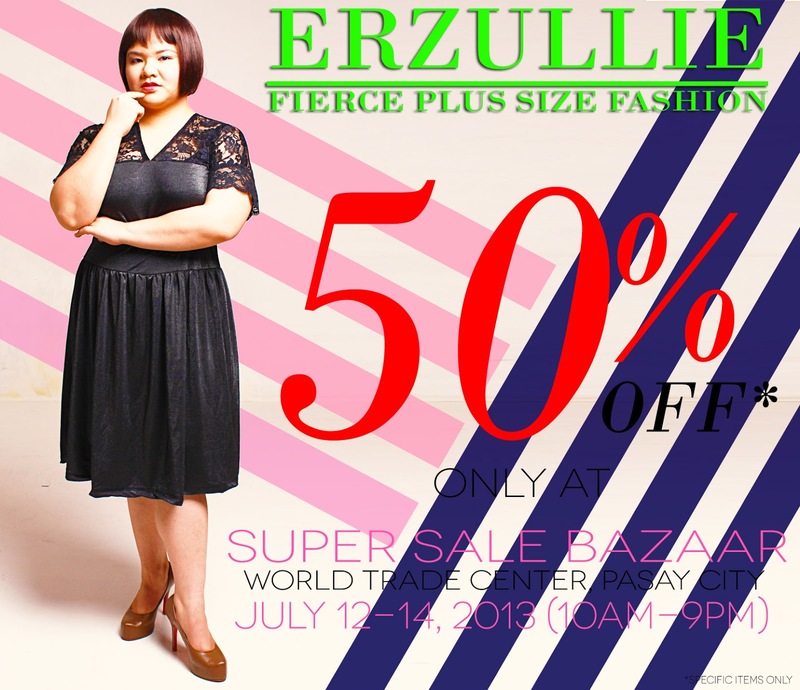 PLUS SIZE FASHION: ERZULLIE IN SUPERSALE BAZAAR DAY 1! We are so excited to open up later for the Erzulliestas! See you later, ladies for some fabulous shopping at the Erzullie booth, Super Sale Bazaar, Hall D, World Trade Center, Pasay City! We are there from July 12-14, 2013 (10am-9pm)! Drop buy to shop the latest Pre-Holiday 2013 collection which is the first premiere demi-couture collection of the brand! Also enjoy the exclusive sale event of 50% off on some our previous designs and of course, we have your personal shoppers on board! Apple Pueblo will be on duty today, while our new personal shopper, Monica Reyes, will be there by Saturday. And on Sunday? I will be taking care of you girls! We also accept both cash and major credit cards so you know it's going to be easy, luxurious and fierce shopping all the way! See you later, Erzulliestas! Let's unite and shop!